Happy Australia Day! Here’s a list of what’s happening around town to celebrate our national day. Australia Day at Wonderland Fun Park (Tue 26 Jan) – free Australia Day temporary tattoos, face painting, sausage sizzle, DJ. Government House Open Day (Tue 26 Jan) – tour the main House, view the historical collection, interactive INSIDE the BRICK Lego Play and Hot Shots and Speed Serve on tennis courts. RACV Australia Day Picnic and Federation Vehicle Display at Kings Domain (Tue 26 Jan) – enchanted forest craft installation, dingoes, owls and snakes, 400 historical vehicles and a chess master. Melbourne Town Hall tours at Melbourne Town Hall (Tue 26 Jan) – Experience the grandeur of the wood panelled Council Chamber, stand on the Portico where the Beatles waved and sit in the Lord Mayor’s chair. Paintings of Early Melbourne Old Treasury Building (Tue 26 Jan) – rare and little known paintings of Melbourne from the 1840s to the 1870s. Share the Spirit Festival Treasury Gardens (Tue 26 Jan) – Aboriginal dance, culture and music. Australia Day at Docklands (Tue 26 Jan) – fun, food, entertainment, fireworks display, including Food Truck Festival. Australia Day Parade (Tue 26 Jan) – multicultural parade down Swanston St.
City of Whittlesea Australia Day Celebrations at City of Whittlesea Council Office lawns (Tue 26 Jan) – music and fireworks display. Australia Day Flag Raising and Citizenship Ceremony at Monash Civic Centre, Glen Waverley (Tue 26 Jan) – music, food stalls and interactive workshops and activities. Australia Day Festival at Dandenong Park (Tue 26 Jan) – live music, roving performances, fireworks, food and market stalls, rides, family activities, workshops and games. Great Australia Day Swim at Middle Brighton beach and pier to Brighton (Tue 26 Jan) – swim race with live entertainment and food stalls. Globe to Globe World Music Festival (Tue 26 Jan) – world music as well as a range of dance, craft workshops, cuisine from around the globe, rides, entertainment and a spectacular fireworks finale. 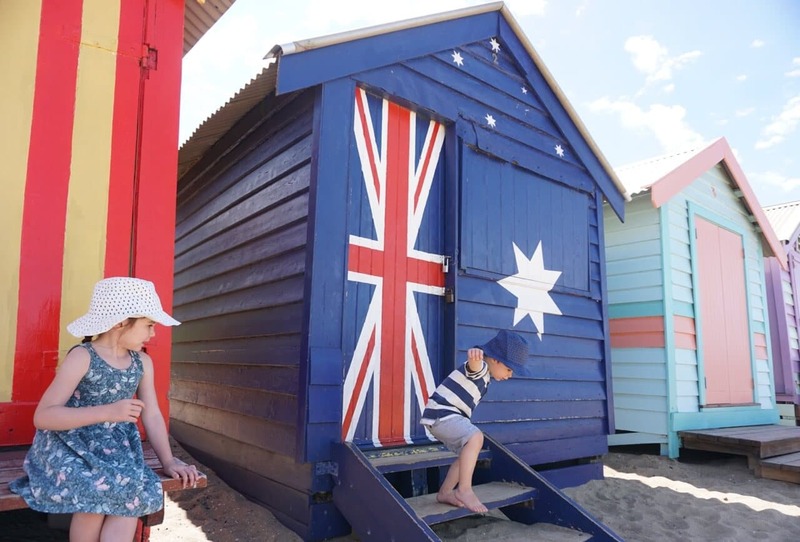 Dromana Australia Day (Tue 26 Jan) – Free Community Breakfast and Free kids activities. Australia 2016 on Herring Island (Tue 26 Jan) – arts groups participating in the Herring Island Summer Arts Festival will be gathered in the courtyard on Herring Island to give art demonstrations and talks. Pop Up Farmyard at Plaza Park (Tue 26 Jan) – free activities, BBQ, face painting, entertainment, farmyard animals. Australia Day celebrations at Ringwood Lake (Tue 26 Jan) – music, shows, kids workshops. Whitehorse Australia Day concert (Tue 26 Jan) – free concert, rides and amusements and citizenship ceremony. Belgrave Survival Day (Tue 26 Jan) – family concert/festival to acknowledge the legacy of Indigenous culture, history and survival. Australia Day in Altona (Tue 26 Jan) – Free family fun day including music, stalls, kids’ activities and fireworks. Brimbank Australia Day celebrations at Kevin Wheelahan Gardens Sunshine (Tue 26 Jan) – community BBQ breakfast and entertainment, and as well as a citizenship ceremony. Stony Creek Music Festival (Tue 26 Jan) – Live entertainment, free kids activities, Food trucks and Aussie sausage sizzle. Australia Day in Melton (Tue 26 Jan) – breakfast, displays, Community Achievement Awards and the City’s largest annual citizenship ceremony. Australia Day in Werribee Park (Tue 26 Jan) – Live stage entertainment, Face painting, Carnival rides, fireworks.